What makes a British icon?  The tangibles or intangibles? A combination of both? Design, quality and longevity are all tangible measures of the success of a brand; tradition and heritage coupled with the emotions and loyalty associated with it are the intangibles. Together they create a sense that the product in question is more than just a collection of fibres or metals. But, above all, to be a British icon it has to be understated and cool. 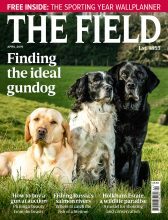 Certain names spring to mind: Holland & Holland, Purdey, Barbour, Asprey, Aston Martin, Morgan… but how many remain truly British? Certainly many of our iconic British car-makers now have foreign ownership or use engines from other companies. 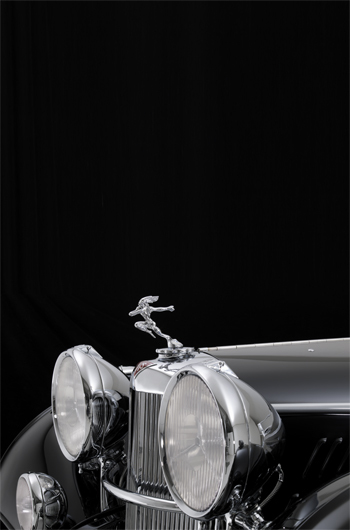 However, there is one that still embodies everything that exemplifies British industry at its finest: Alvis. Usually, I prefer the knife-edge precision, advanced electronics and hydraulic aids offered by modern cars. But Alvis cars have always had a certain something about them. At the showroom in Kenilworth, the cars are displayed in a fan pattern in a beautifully lit, serene white room. Old mix seamlessly with new, with the most recent model taking pride of place at the front. However, you couldn’t possibly tell it was new without opening the bonnet as the car is an exact recreation of the original Thirties design. Every part has been made faithfully from the original blueprints. The 4.3 litre Alvis was the fastest non-supercharged production car of its day, reaching almost 120mph and pumping out 170bhp. 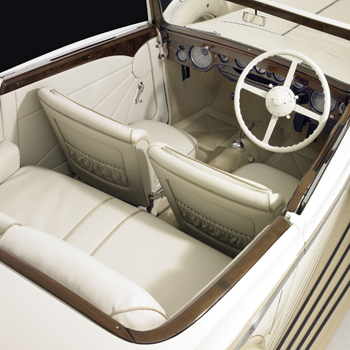 The elegant, flowing lines of the 1937 car, which appears to be moving even when it is standing still, have been reborn. TG John, the company that became Alvis, was founded in 1919 and made stationary engines and motor scooters; it became the Alvis Car and Engineering Company in 1921. Back then, “real” cars were built by engineering firms and the bodies by dedicated coachbuilders (as horseboxes are built today). Like Rolls-Royce and Bentley, Alvis would design and build a rolling chassis, including the engine, which would then go to the buyer’s preferred coachbuilder, perhaps Vanden Plas or Mayfair. This was the ultimate in bespoke, giving customers considerable influence over bodywork and interiors. One car I saw had intricate embroidery on the door panels and tiny etched covers for the door locks. An innovator from the outset, Alvis was one of the few car companies to build its own engines (it still does); Morgan and Jensen never made their own. Alvis was also the pioneer of front-wheel drive. Taking its engineering reputation very seriously, Alvis started building racecars for “reliability trials”. In 1923, the first 12/50 model was launched, promptly winning the 200-mile race at Brooklands with an average speed of 93.29mph; it could do 120mph, which probably felt insanely dangerous almost 100 years ago. The 12/50 would have cost £500 then – and is worth £40,000 now. Alvis was groundbreaking once more when it raced the first eight-cylinder, front-wheel-drive supercharged GP car in 1926. This one lapped Brooklands at an even more impressive 121mph average. Those boys were brave. Racing drivers were routinely killed, maimed or burned, and it took serious cojones to wrestle those cars around a track. More innovations followed: the world’s first synchromesh gearbox; the first car with independent front suspension. The Germans may have invented the internal combustion engine but we Brits invented ways to make cars easier and better to drive. The Great Depression caused Alvis to do some thinking. Rather than make cheap, affordable cars, the company launched the beautiful Speed 25 Drophead Coupé with its concealed hood and sliding front seat; at £1,300, it was an expensive car. The average semi-detached house cost £500, making this car the Bugatti Veyron of its day. Then along came the Second World War. Alvis began to build aircraft engines, armoured personnel carriers, tanks and other military hardware. Car manufacture fell by the wayside and in 1967 – after 47 years and 22,000 cars – the last Alvis rolled off the production line. 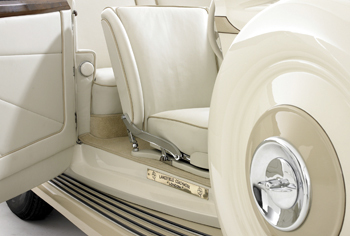 However, the Alvis car company was a family, from the employees to the owners of the cars. Red Triangle was born in order to provide jobs for the staff and parts for the existing cars. Every part, drawing, record and blueprint was handed over, and mechanics were able to maintain the cars. This evolved into rebuilding engines and bodies, and continues to this day. The last director of the Red Triangle car company retired in 1994 but, fortunately, Alan Stote was able to step in. “I was always interested in Alvis and I knew the owner, so when he retired I bought the company. We are four times larger now, with 22 full-time staff and more than 200 cars per year serviced or restored.” Stote inherited the record for every car ever built and a drawing of each part (14,500 in all). In perfect condition, they now reside in his office at the showroom. Alvis Vickers (as it had become) was bought by BAE Systems in 2004 and agreed to transfer the Alvis car trademarks to Stote. This made it possible to begin building cars again. 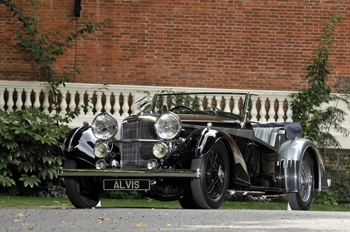 The car chosen was Alvis‘s greatest pre-war model: the 4.3 litre. 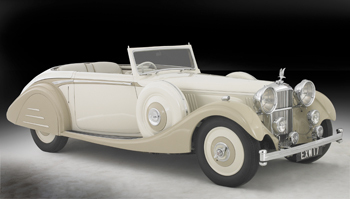 According to notes from the Thirties, 77 of these cars were yet to be built when the war stopped production. It seemed like a natural progression to continue the run – hence “the Continuation Series”. The original chassis drawings were transferred to computer-aided design, allowing a recreation chassis to be built that could then be coupled to an ash frame/all-aluminium body. Naturally, there are concessions to safety and the EU; the car has important (but hidden) safety and efficiency components. These cars aren’t just for looking at – they are made to be driven. And Alvis cars can be driven, old and new. But at what cost? Sur-prisingly, perhaps, buying and maintaining one is not going to cause you to break out into a cold sweat. A good, second-hand saloon will start at perhaps £35,000 – “good” meaning a car that needs no serious work and can be used and enjoyed. For a drophead, double that price. Always more desirable, naturally they command a premium. The cars are so beautiful, why wouldn’t you want the roof down? See and be seen. The new Continuation Series will set you back a little more, at £200,000. This may seem a lot, but bear in mind that this is a hand-built car constructed using the original designs and with a genuine Alvis engine. The interior is bespoke, crafted in a charmingly rustic warehouse only 200 metres from the showroom, which is brimming with original parts, history and a sense of pride. The leather used for the seats is from Scandinavian cows that have never encountered barbed wire. When you see all the work that has gone into it, the car is cheap at twice the price. 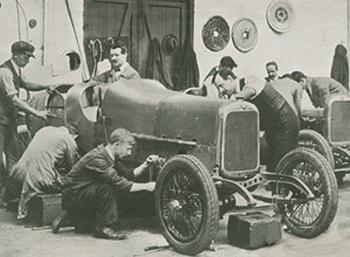 Eleven of the 12 cars built before the war still survive; today, they change hands for more than £500,000. Maintaining these vehicles is often a hidden and hefty cost, however a service at Red Triangle costs less than taking a Nissan GT-R to a Nissan dealer. A 96-point annual service, MOT, Crypton tune and a collect/return service is a reasonable £495. The workshop system makes a point of drawing the owner’s attention to any work needed on the car. The secret is all in the communication, as one of the perils of working on an old car is that as parts are removed, more serious problems are found within. By communicating with the owners every step of the way, and never starting any further work without prior approval, nasty surprises are avoided and happy relationships maintained. Allowing an annual budget of £1,000 to £1,500 for preventive maintenance is realistic and a small price to pay to be able to drive around in a small piece of Britain’s motoring history. And who bought the first Continuation 4.3 litre? Stote was not at liberty to say, save for the fact that the buyer was Russian. Now, what for the future? Financially, the company is sound. Design-wise, my eye caught a beautiful model of a truly modern interpretation of an Alvis. A concept designed by a student at Cardiff University, it sits on a pedestal, full of optimism and promise that it might one day be built. I certainly hope it will be. Discovering that this small car company initiated technology we now take for granted was humbling, and I felt proud to be British. Yes, modern cars are insanely fast, hi-tech and fun, but these cars have soul. You have to drive them, they don’t have tiptronic gearboxes or parking sensors. It’s a pure, visceral experience to drive a mechanical car and not an electronic one. As our driver skill sets and ownership of motoring history are gradually eroded, climb into one of these cars and feel what it’s like to be British – and great.